Helping You Get the Most MEANING out of Christmas! Ready or not...here comes Christmas! If you're like me, you want to get the most out of this season...and not just the most cookies and presents (though they are great); you want the most meaning! Here at Two Rivers Chattanooga we're making a tradition of celebrating ADVENT, the season of anticipating the coming of Jesus at Christmas! 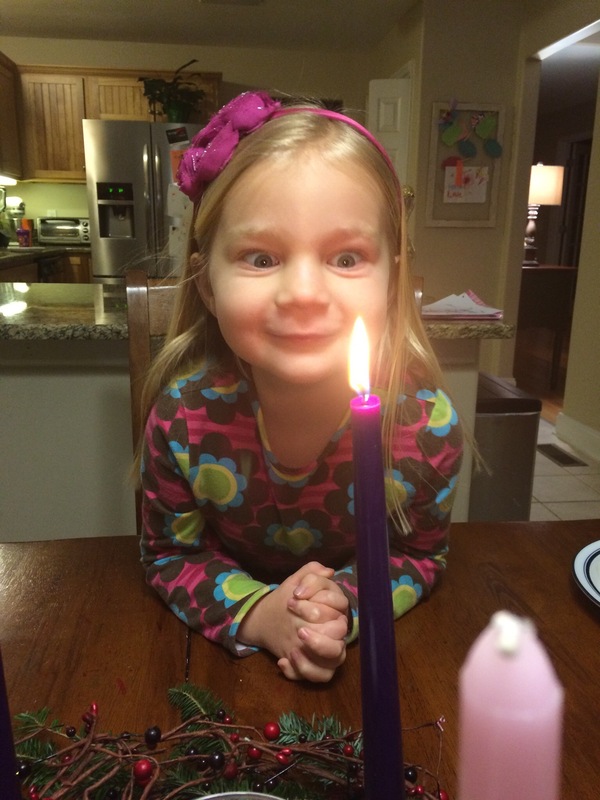 If you didn't grow up with Advent that's OK; this year is a great time to start! Advent begins four Sundays prior to Christmas, so in 2018 it's December 2. It is usually a horizontal evergreen wreath with four candles and often, a fifth, white candle in the center. Beginning with the First Sunday of Advent, the lighting of a candle can be accompanied by a Bible reading, devotional time and prayers. An additional candle is lit during each subsequent week until, by the last Sunday before Christmas, all four candles are lit. Many Advent wreaths include a fifth, Christ candle which is lit at Christmas Eve or Christmas Day. The custom is observed both in family settings and at public church services. HERE is a great one-page article that will help you explain the advent wreath to your kids, and it's a great resource to use each week as you light a new candle! You can make your own wreath for less than $35. 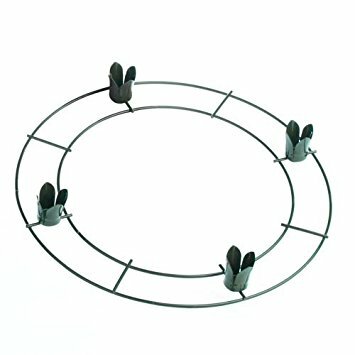 This is a simple advent wreath ring you can buy on Amazon. You can then put your own garland around it and accessorize however you like! You can buy the candles on Amazon or LifeWay carries kits that include the ring and the candles! If you have kids...they'll love the candles! Use the wreath to start conversations around the dinner table all throughout Advent. You can use the candle themes each week, share Bible verses, ask questions about Christmas, and even use the Advent Cards I mentioned in the video. You can find those HERE. Another way to get the most out of this Christmas season is to spend time with God on a regular basis, and there are a ton of great resources out there! I want to highlight just a few. Choose one and invite someone to join you! Some of these are FREE. A couple of them are great for families with children! 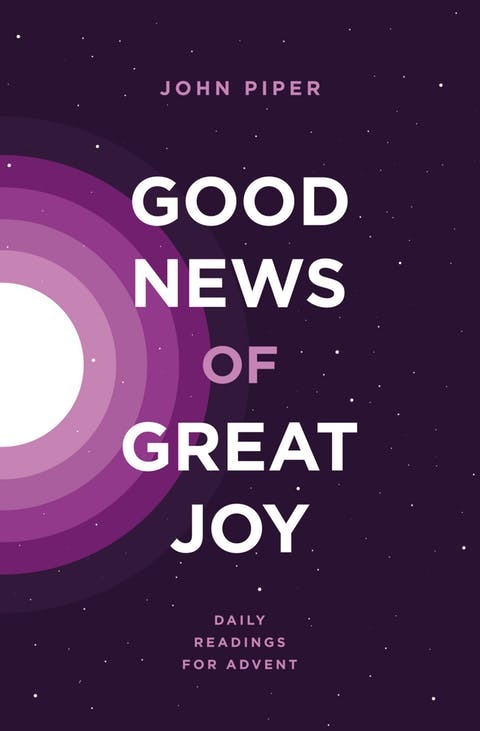 Good News of Great Joy and The Dawning of Indestructible Joy by John Piper. Both of these are available as FREE downloads – just click on the title above. The daily readings are short (just two pages), but they are packed with great stuff to chew on each day! Piper has a way of capturing the grandeur of God’s glory and grace and then distilling it in a way that draws you into the joy of knowing Jesus! 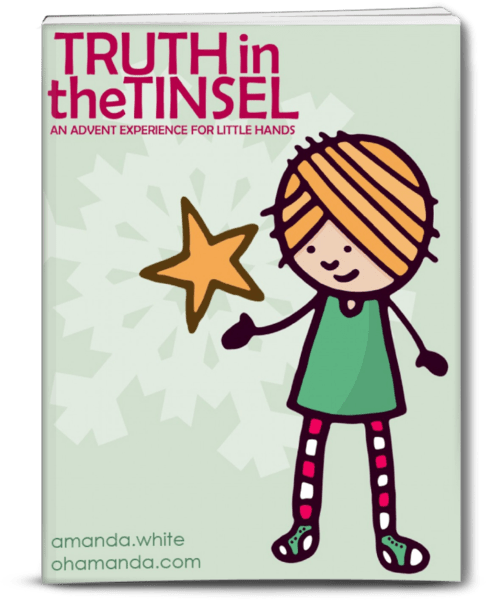 The Truth in the Tinsel by Amanda White. You can purchase the PDF for $7.99. This is a really fun devotional for families with children (especially pre-school to elementary age)! My family did this one a few years ago and our daughters LOVED it! Each day includes a Bible reading and a craft that goes along with the story – most are ornaments that you can hang on the tree. Most of the crafts are really simple and it gives something tactile for the kids to do to help them remember that Jesus is the real star of Christmas! 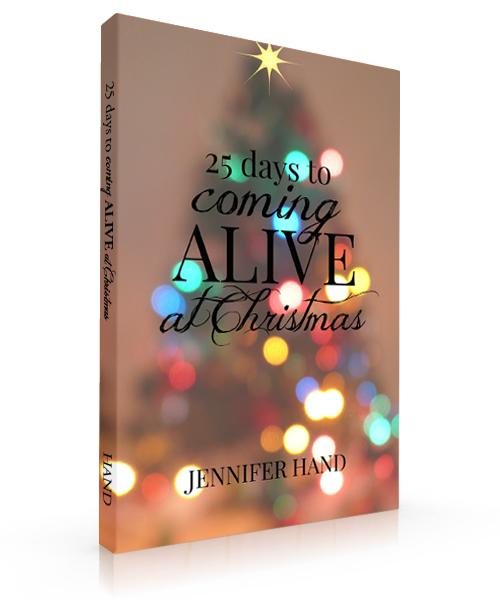 25 Days to Coming Alive at Christmas is written by one of our very own, Jennifer Hand! If you don't smile and laugh as you read this, you might be doing it wrong! Jenn writes with authenticity and humility. Look for Jenn to do video updates and provide additional thoughts on Facebook once Advent begins! For less than $10, this is a great devotional option. She Reads Truth provides Bible Study resources throughout the year, and every year they have produce a stunning Advent Guide! You have to but the print guides ahead of time, but they still post daily advent readings online for FREE. Check the women's out HERE, and the men's HERE. 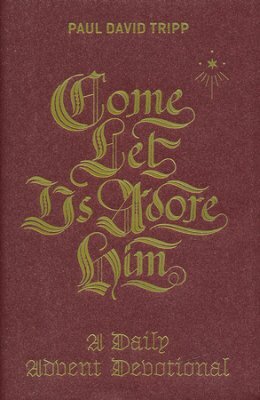 Oh Come Let Us Adore Him isn't a typical devotional full of warm stories. It takes on a more serious tone with focus on the real reason that Jesus came to earth. Tripp writes with an eager plead for us to ponder Truth and to leave the hustle and bustle of the holidays behind! There are many other resources available, so choose one and prepare your heart to celebrate the coming of your King! Check back here for more Advent ideas throughout the season! And I’d love to hear what you’re doing for Advent this year. Go to our Facebook page and post a comment. Heavenly Father, I pray that you draw us into the wonder of your amazing gift – the coming of Jesus Christ our Savior. Help us find you in the midst of a busy season. Fill our hearts and minds with the joy and peace that come with Jesus. And show us how to share these gifts with our families as well as those who live next door, who stand in line at the store with us, who work down the hall, who cross our paths each day. Amen.